The 2019 Rex Smith Shield starts Thursday the 5th January. The draw can be found here and starting handicaps here. Good luck to all teams. The 2019 Annual General Meeting for the Newcastle District Billiards and Snooker Association will be held on Monday the 4th of February at 6:30pm at the Kahibah Sports Club. Anyone interested in nominating for a position in the upcoming Committee should submit their interest in writing to the Secretary by the 29th January 2019. As usual there will finger food and a drink voucher on the night to encourage as many members as possible to attend. Please Note: The AGM will be held at the room behind the ‘Kahibah Sports Club’ restaurant – not where it was last year. The Mingara Snooker & Billiards Club & Greater Western Snooker Circuit are excited to announce the 16th Annual Double Trouble Tournament. This event is always well represented by the Hunter Region and hopefully a Hunter team will again lift the trophy. This handicap tournament features $3,000 in prize money with winners splitting $1,000. The tournament is held at the iconic Mingara Snooker Room. Grab a doubles partner and enter. Dates are 2nd & 3rd Feb – entries close on the 30th Jan. Click here for more info. Thursday the 6th Dec will see the Minor Premiers, the Kahibah Panthers, play newcomers, Morisset Country Club, in the 2018 Rex Smith Over 50s Grand Final. Belmont 16′ Sailing Club will be the host with a 1pm kick-off. Good luck to both teams and, as always, spectators encouraged. Congratulations to Wangi Worker Club who defeated the Cessnock Comets 2-1 in the Premier League Grand Final. 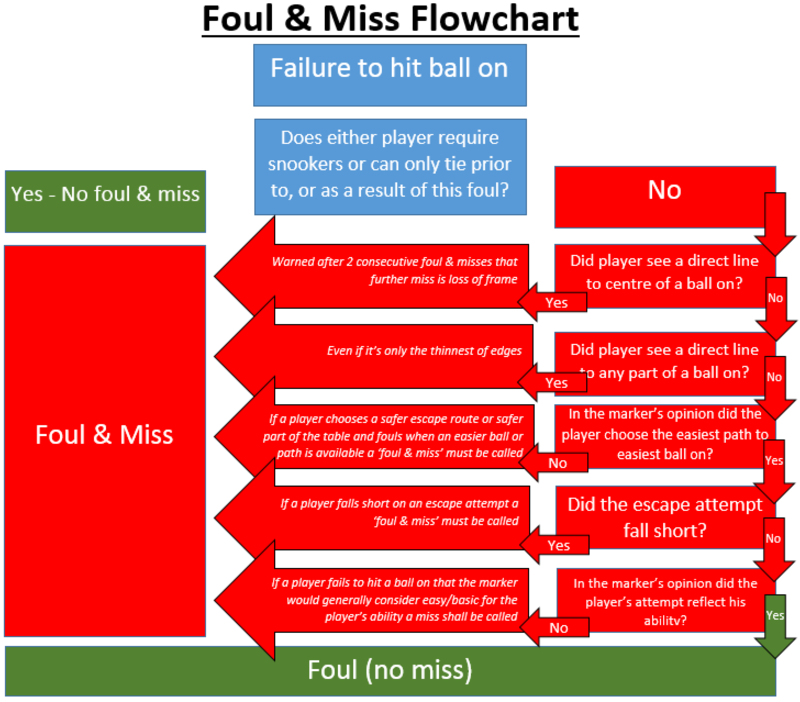 2 of the 3 matches went to 5 frames and could have went either way. Wangi’s Rob Elsley took out the season high break with an impressive 123. Thanks to Belmont 16′ Sailing Club for hosting the Grand Final. 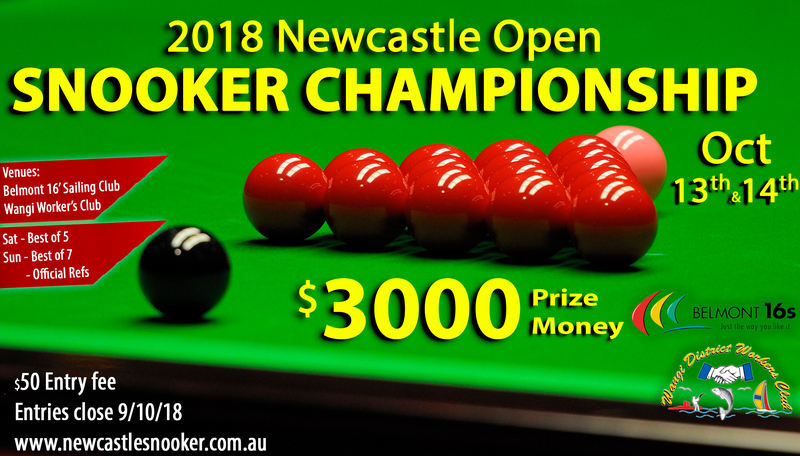 The 2018 Newcastle Snooker Open will be held on the 13th and 14th of October at the Belmont 16′ Sailing Club and the Wangi Workers Club. This year there is a total prize pool of $3000 up for grabs. This competition is always well supported by local players as well as players from around NSW. Flyer can be found 2018 Newcastle Open here and Entry Form here.